FoundOcean boasts 50 years’ experience of providing green and brown field services for the offshore energy construction industry. 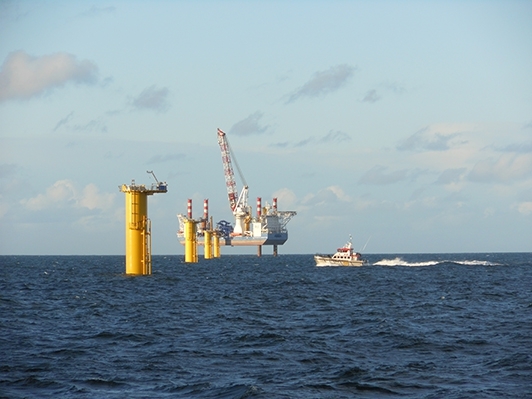 It specialises in securing the foundations of oil and gas platforms and offshore wind turbines, as well as life extension solutions and rehabilitation design services for offshore assets around the world. Pile grouting is the process of making a structural connection between a jacket and the piles that have been driven or drilled into the seabed. FoundOcean mixes and pumps ultra high strength grout into the annulus between the pile and transition piece to form the solid connection. Rock socket grouting is the process of filling the annulus between a pile and the rock into which it has been placed. FoundOcean is a progressive company that builds strategic alliances to promote innovation that sets the standard for service delivery and product offering. Its experience, professionalism and energy is complimented by an absolute commitment to quality and safety.